1. Although there are two competing HD disc formats, HD DVD has the backing of the DVD Forum - an official body of the media and technology industries. Blu-ray is backed by much of Hollywood but did not win Forum support. 2. 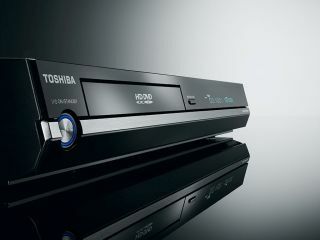 HD DVD was originally called Advanced Optical Disc when it was being developed by Toshiba and NEC. It was able to adopt the DVD part of its name when it was endorsed by the DVD Forum. 3. As with Blu-ray, HD DVD can support a 24-frame progressive scan output. It matches frame-for-frame what film cameras shoot, giving more faithful and cinematic moving images. Both your player and TV must be compatible with 24-frame progressive playback. So far, only a few models like this exist. 4. It's possible to use the underlying video format of HD DVD (Microsoft's VC-1 codec) to burn your own kind of 'HD DVD' discs onto normal blank DVDs. These hold about three times the data of a conventional DVD and should be playable in HD DVD players and PC drives. 5. Most HD DVDs use two 15GB layers. Toshiba and TDK have since created discs with three 17GB layers, totalling 51GB. However, current players may not play these. 6. It's mandatory for every HD DVD player to support all previous DVD digital sound formats as well as the two new Dolby formats. DTS-HD compatibility is optional. This contrasts with Blu-ray, where Dolby Digital Plus, TrueHD and DTS-HD are all optional. 7. All HD DVD players are compatible with various interactive features and have broadband connectivity. Some innovative - some might say frivolous - extras on movies include GPS tracking maps for Miami Vice and Tokyo Drift. The latter, a sequel to The Fast and the Furious, also allows you to 'customise' a car for one of the film's sequences.